There’s no doubt about it: Italians like to greet. It’s a warm, smiling country, where communicating happiness and hospitality is crucial. To many non-Italians, especially from Northern countries, Italian greetings can appear to be over-the-top or even a bit unpleasant if you have a very strong sense of personal space. Often, you don’t just say hello in Italian, but you hug, kiss, and hold hands, even with people you’ve just met. Body language is, indeed, as important as spoken language, but can be harder to understand and interpret. That’s why we at ItalianPod101 are providing you with a complete guide to Italian greetings, including gestures and body language. 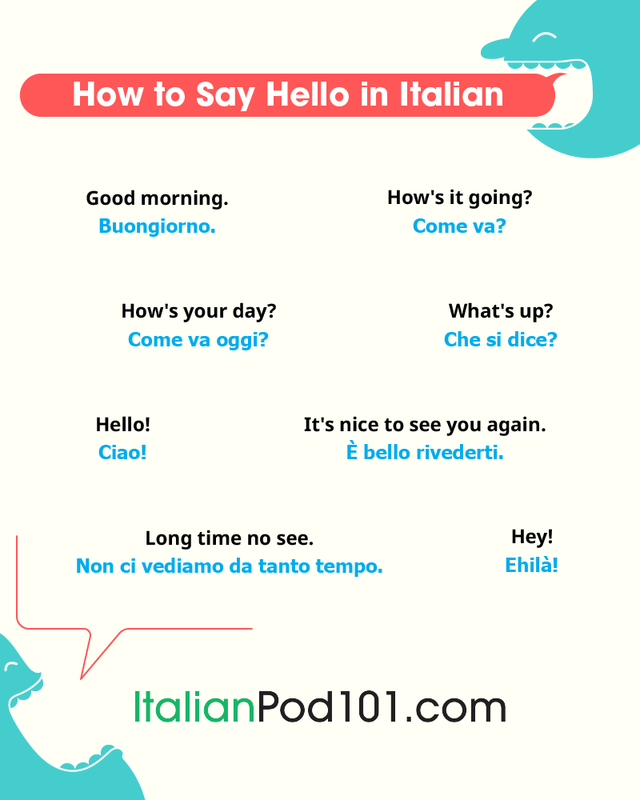 If you’re asking yourself, “How do you say hello in Italian?”, you’ll find the answer here for every possible context. And next time you meet your Italian friends, relatives, or even complete strangers, you’ll know exactly how to behave. So, let’s get started so that you can know all about Italian greetings! Among friends, formalities are banned. Italian casual greetings for friends include hugs, kisses, holding hands, and exchanging nice words. You usually say, “Hello, how are you?” in Italian and ask about a loved person of your friend, such as a girlfriend, boyfriend, wife, husband, son, daughter, etc. The Italian “hello” for friends is, of course, Ciao. B: Ciao! Tutto bene, grazie. E tu? B: Sta bene, ti saluta. Meanwhile, friends do usually kiss twice on the cheeks, or hug. Men friends sometimes only shake hands or pat each other’s backs. In Southern Italy, they kiss more often than in the North. When you say goodbye to a friend, you should kiss them twice again—or hug, shake hands, etc.—and then say something like A presto (“See you soon”) or A dopo (“See you later”), or a general Alla prossima (“See you next time”). A simple Ciao is also okay. When you talk to an older person, you’re usually expected to use the Lei form. This means that you talk to them using the feminine third-person singular. You won’t use the word Ciao, but you’ll say “Good morning” in Italian, or other terms depending on the time of the day/night. And how do you say “Good morning” in Italian? Buongiorno. Does it sound complicated? It isn’t, actually. When you don’t know what to say, you can simply use Salve and Arrivederci, and you’ll be polite and correct in any circumstance. Regarding body language, you’re expected to kiss an older person in your family, especially women. Sometimes men don’t kiss each other and prefer to shake hands. If you don’t know what to do, just follow their lead. B: Buongiorno, sto bene, grazie. E lei? A: Tutto bene, grazie. In famiglia stanno tutti bene? B: Tutti bene. E i suoi? Italian formal greetings—such as in a business meeting, for example—are similar to those used for older persons, although you should avoid Salve, which is perceived as too familiar. Regarding body language, you should not kiss anyone. Instead, you have to shake hands. You should use the person’s title and the Lei form to them, and avoid asking “How are you?” which is too direct. Instead, you can ask something like “How was your journey?” or compliment the person for a job well done or a proud accomplishment. A: Buongiorno, Professore. Ha fatto buon viaggio? B: Buongiorno, Dottore. Molto buono, grazie. A: Volevo complimentarmi con lei per il suo ultimo libro. Well, this is something that won’t happen to most of you, but who knows? And if you happen to meet the Pope, it’s better to know what to do! After all, this wouldn’t be a complete Italian greetings guide without some info on how to greet the Pope! When the Pope enters into a room, when he stands, and when he walks, you should stand up as a sign of respect. If he talks to you directly, you should bow and shake his hand. Or, if you’re a Catholic, you may kiss his ring. When talking to him, you should use the Lei form and call him Santo Padre (“Saint Father”). Now you’re ready to meet the Pope! A: Bella zio, come butta? B: Bella lì, tutto ok. E a te? 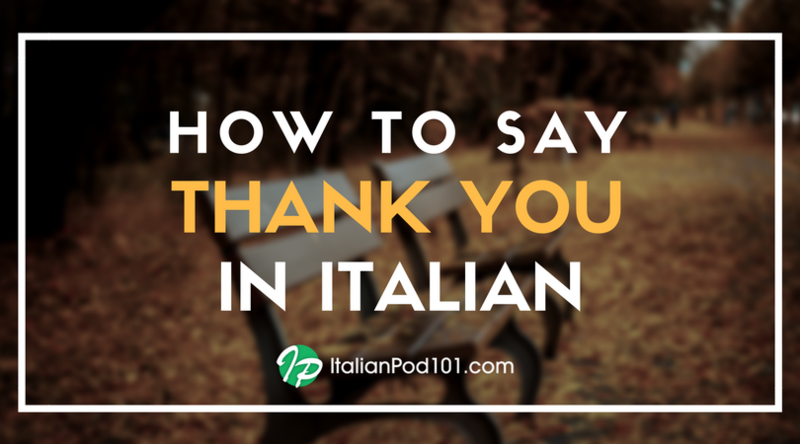 Italian greetings and introductions go far beyond words, and into body language. As you already know, body language in Italian is as important as the spoken language. As in the classic stereotype, Italians talk with their hands. But not only that: they also talk with their arms, head, shoulders, and eyes. Two kisses on the cheeks, with friends and relatives. Hold hands, with friends and relatives. Hugs, with friends and relatives. Shake hands, when you meet someone, in formal occasions or—especially in Northern Italy—among men relatives and friends. 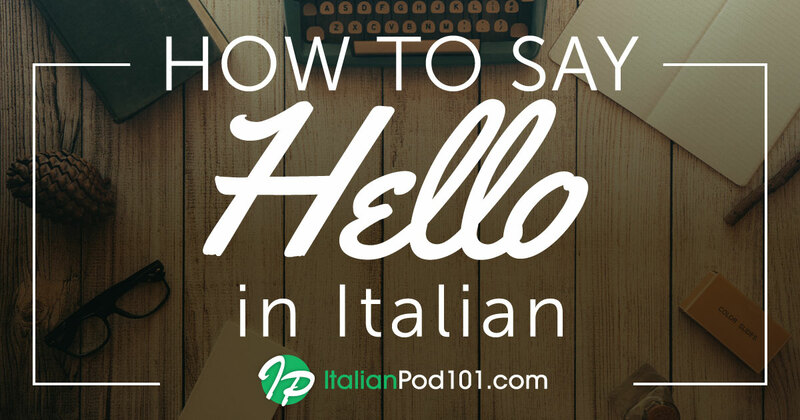 Maybe you’re telling yourself: “Greetings are very interesting, but I just want to know how to say hello in Italian on the phone!” Here you have the answer to answering the phone in Italian. B: Ciao Marta, sono la zia Antonia. A: Ciao zia! Come stai? 4. ItalianPod101: Learn More, Learn While Having Fun! 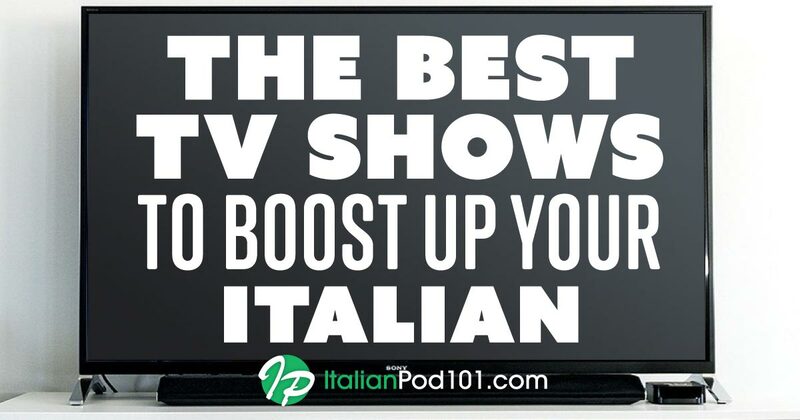 ItalianPod101 is the only website where you can really learn Italian while having fun. Our courses are made for absolute beginners, beginners, intermediate-level learners, and advanced learners, and will help you discover every aspect of the Italian language and culture in the most entertaining and engaging way. Check out our audio and video lessons and forget the old boring way of studying. Download our free app to learn while on-the-go and discuss with our super nice and friendly community of students from all around the globe!